Thousands of injuries and numerous child deaths could have been prevented across Canada and the United States in the past three decades had school buses been equipped with seatbelts, an investigation by CBC’s The Fifth Estate has found. Thousands of injuries and numerous child deaths could have been prevented across Canada and the United States in the past three decades had school buses been equipped with seatbelts, an investigation by CBC's The Fifth Estate has found. Yet, for more than 35 years, Transport Canada has been at the forefront of a North American-wide campaign against the use of seatbelts on school buses, based largely on a 1984 study that asserted they are not only unhelpful — they may also cause injuries. Now, the four-month Fifth Estate investigation has exposed serious problems with that study and reveals that government officials have known for years that seatbelts save lives and prevent injuries on school buses — information the department has kept hidden from the public. And in the wake of the CBC investigation, it appears cracks are showing within Transport Canada over its rigid position against seatbelts. After being told of results of The Fifth Estate's research, Transport Canada's chief of crashworthiness research said seatbelts are "a good first step" towards improving school bus safety. For Keenen Clark, a student who survived a fatal bus crash in rural Alberta 10 years ago, the need for seatbelts seems obvious. 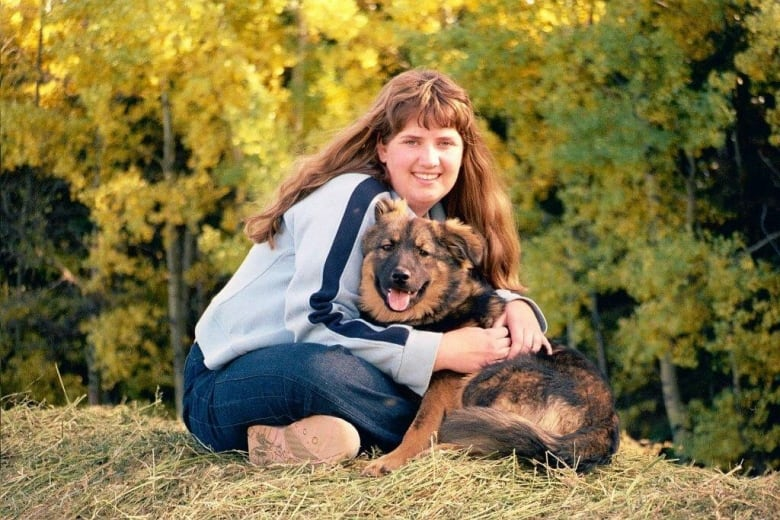 Clark was a 14-year-old passenger in a school bus hit from the rear by a gravel truck on a foggy morning in April 2008, sending three unbelted students to the pavement. Watch Unbuckled: School Bus Safety on The Fifth Estate on CBC-TV Sunday at 9 p.m. He suffered head trauma, broken ribs, a crushed kidney and a ruptured spleen after landing next to the gravel truck's rear tire. He told The Fifth Estate he is living proof that seatbelts would have prevented him from being ejected and would likely have saved the life of his friend, Jenny Noble. "If seatbelts would have been on the bus, Jenny probably would have stayed on the bus," Clark said. "Everything that happened to me happened after I fell out of the bus." By then, Transport Canada's 1984 study had become "the most widely cited study" in North America, according to U.S. regulators, and was frequently quoted by school boards across the continent as a reason not to install restraints on buses. Since then, federal statistics show there have been 23 school bus passenger deaths in Canada and 269 in the United States, as well as 10,480 documented injuries in Canada and more than 180,000 in the U.S.
More recently, numerous U.S. federal and state regulators and safety organizations like the National Safety Council are turning their backs on the 1984 Transport Canada study, leaving the Canadian government increasingly isolated in its official anti-seatbelt stance. Transport Minister Marc Garneau declined several requests for an interview. 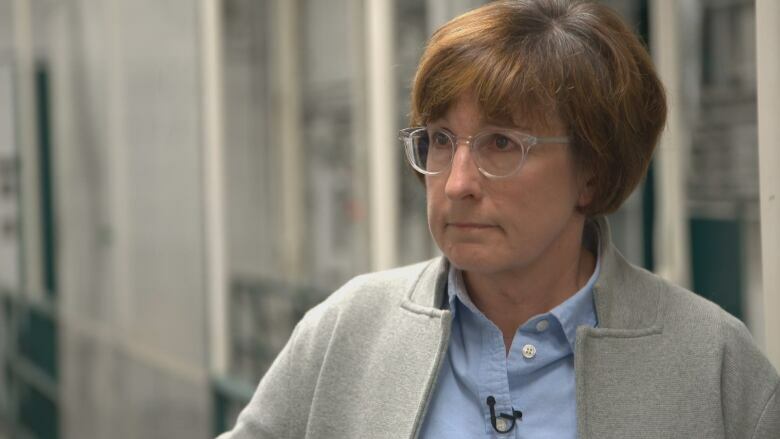 But in an exclusive interview with The Fifth Estate, Transport Canada's Suzanne Tylko provided a message that differs from what her own department has said in public. While seatbelts don't prevent all injuries and deaths, she agreed they "do prevent ejection." "Seatbelts are a good first step," she said. Tylko also authored an internal 2010 Transport Canada test crash study that was not released publicly until The Fifth Estate asked for it last month. In it, Tylko said current school bus safety is "not effective in side impacts" and that more needed to be done "to reduce or eliminate the serious injuries." Tylko told The Fifth Estate's Bob McKeown she did not know why Transport Canada has not stated this publicly nor why it has not changed its anti-seatbelt position. "You would have to ask people who decide those policies because I can't answer that," Tylko said. She also said she didn't know why her eight-year-old report had never been released. The Fifth Estate spent several weeks compiling and reviewing numerous studies from across North America prepared by academics and test crash facilities, examining computer modelling and interviewing safety experts and scientists. The research showed repeatedly that seatbelts would have prevented numerous serious injuries and deaths in school buses. In the United States, such findings have already gained widespread acceptance. Safety organizations like the National Transportation Safety Board and the National Safety Council are now unequivocal that seatbelts on school buses save lives and prevent injuries. In a speech in 2015, the head of the U.S. equivalent of Transport Canada — the National Highway Traffic Safety Administration — put it bluntly. "There is no question that seatbelts offer improved safety. Seatbelts [on school buses] will save the lives of children who we might otherwise lose in crashes," Mark Rosekind said. For parents of children who were injured or killed, that recognition had been a long time coming. 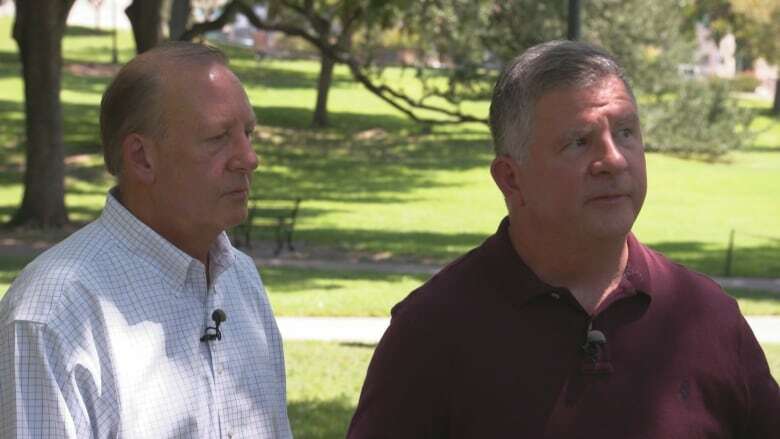 "We are tired of the misinformation," Steve Forman, a Texas father whose daughter was badly injured in a fatal 2008 bus accident, told The Fifth Estate. Forman and Brad Brown, another parent who lost his daughter in the same bus crash, have campaigned for years for seatbelts on school buses, coming up against an unexpected opponent — Transport Canada and a promotional video based on its 1984 study. Forman believes the Transport Canada study was rigged to favour a no-seatbelt agenda from the beginning. "Oh yeah. Absolutely," he said. 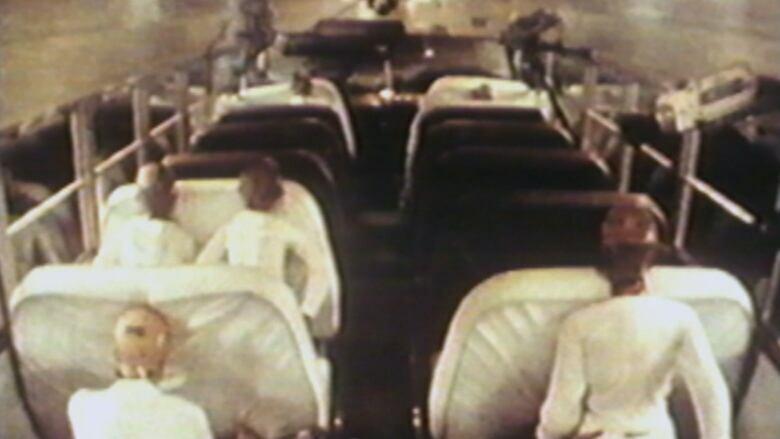 The Transport Canada test crash film claimed that a system called compartmentalization — the use of high-backed padded seats — was enough to keep children safe. What's more, it said that lap seatbelts might cause "fatal injuries" and should be kept off school buses. The promotional film said that slow-motion video and test measurements showed the belted dummies experienced a potential "fatal" whiplash as their heads hit the back of the seat in front of them. The study was soon quoted in numerous industry and academic papers across North America. Still, a close examination of that study shows that Transport Canada never tested side-impact crashes or rollovers, where most serious injuries and death occur. Nor were any of the dummies fitted with three-point lap and shoulder belts, already proven to prevent ejection and injuries in cars. A scathing 1985 review by University of Michigan researchers dismissed the study as "exaggerated" and said that its conclusions were invalid. Researcher Kathleen Weber wrote that the dummies with lap belts did not experience fatal injuries, as Transport Canada had said. Weber also pointed out that child dummies seen in the film were not hooked up to monitors, meaning no conclusions could be made about their injuries. As for the unbelted adult dummies, the University of Michigan researchers say they received greater injuries than the belted ones, contrary to what Transport Canada said. "The unrestrained dummies hit the top of the seat backs with their necks," the researchers said, noting Transport Canada failed to properly measure those injuries or account for them in their conclusions. The University of Michigan critique concluded that Transport Canada's own data actually "supports the need for occupant restraint on buses." "No case can be made from the results of this test program that belted children will have an increased likelihood of severe head and neck injuries in frontal crashes," the researchers said. Forman, whose daughter was injured in that Texas bus crash a decade ago, says those anti-seatbelt studies were influenced by factors other than safety. "When you get into this, you see that the government agencies pick and choose what they want to listen to, what statistics they want to pull from, and frankly we finally got to the point where it's follow the money." Records obtained by The Fifth Estate show that Transport Canada had initially wanted to put seatbelts on school buses and had even set a date for the rule to take effect in the late 1970s. But after some "aggressive" lobbying by school bus operators and school boards, the proposed seatbelt law was withdrawn. The top concern: the "cost-benefit ratio due to the low number of accidents involving school buses," according to a 1985 Transport Canada document summarizing the plan to withdraw the seatbelt requirement on school buses. "We became disgusted with the school bus industry," Forman said. The Fifth Estate has also learned that by the time of the 1984 study, Canadian officials were already aware of — and had written about — a previous U.S. study showing that seatbelts would have saved lives had they been installed in school buses. That study concluded that of seven fatalities in small school bus crashes six children would have survived if they'd all worn a seatbelt. The study also concluded that of 75 major injuries, "most" of them would have been "minor" if a seatbelt had been worn. That information was left out of the Transport Canada promotional film. Also missing from the film was a key passage in the written report that followed the 1984 test crash. A Transport Canada official had written that in a rollover crash, "the unbelted occupant could be thrown about the vehicle and could be badly injured or unconscious." Since then, Transport Canada officials have continually been made aware of more studies reaching the same conclusions — that seatbelts save lives. After the horrific crash in Rimbey, Alta., in 2008 that killed Noble and seriously injured Clark, a provincial safety review again quoted Transport Canada as saying "seatbelts may ... put students at greater risk of injury." James Johnson, vice-president of marketing and business development with IMMI, a company that runs one of the largest crash test sites in the world just outside Indianapolis, says the high padded backs on school buses do help prevent injuries in frontal crashes, but are completely inadequate when the bus is hit from the side or tips over. "Compartmentalization does nothing for you in side-impacts or rollovers. So those are the type of accidents, unfortunately, where tragedy strikes and you have children injured and killed." To prove its point, IMMI conducted a side-impact test crash. In a video, an unbelted dummy is seen being ejected violently through a school bus window onto the pavement. "And that's where a lap and shoulder belt will make a big difference," said Johnson. Johnson said the anti-seatbelt lobby is starting to lose its power over school boards and regulators. "What I've seen over the last five or six years is that side losing steam, losing their influence over it." Today, eight states representing about 40 per cent of the U.S. population require seatbelts on school buses. In Canada, the federal government regulates bus safety requirements while provinces are responsible for enforcement and fines. There is no law anywhere in the country that mandates seatbelts in school buses. "Unfortunately, it'll probably take some additional tragedies," said IMMI's Johnson. "But our hope is with all the evidence that is out there now, that school districts across the country and in Canada make the right decision."